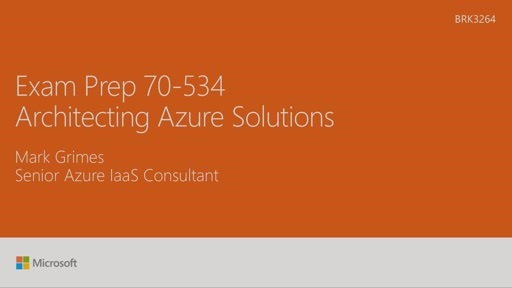 This Exam Prep session is designed for people experienced with programming using Azure who are interested in taking the 70-534 (Architechting Microsoft Azure Solutions (beta)) exam. You can expect to review the topics covered in this exam in a fast-paced format, as well as receive some valuable test taking techniques. 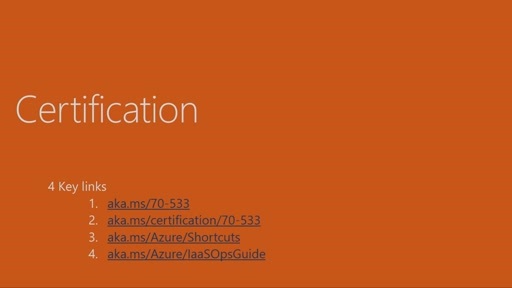 You will leave with an understanding of how Microsoft certification works, the key topics covered in the exams, and an exhaustive look at resources for getting ready for the exam. The session is led by a Microsoft Certified Trainer (MCT), experienced in delivering sessions on these topics. 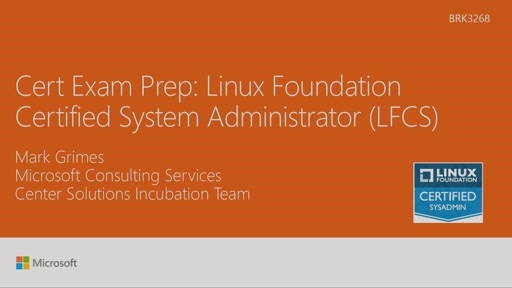 Where can I find the slides for this session? Would greatly appreciate the links (One Note, Blog etc) mentioned in this presentation. Has the resource list for training resources been published somewhere online for reference? When you say you will make deck and resources available in a presentation its disappointing when you dont follow it. This presentation is too high level to be of use to actually take the exam. The summary questions here are far easier than the actual exam questions which is misleading.